The CPU-D075BLACK is a mount to install a desktop PC underneath a desk. Also suited for thin clients. 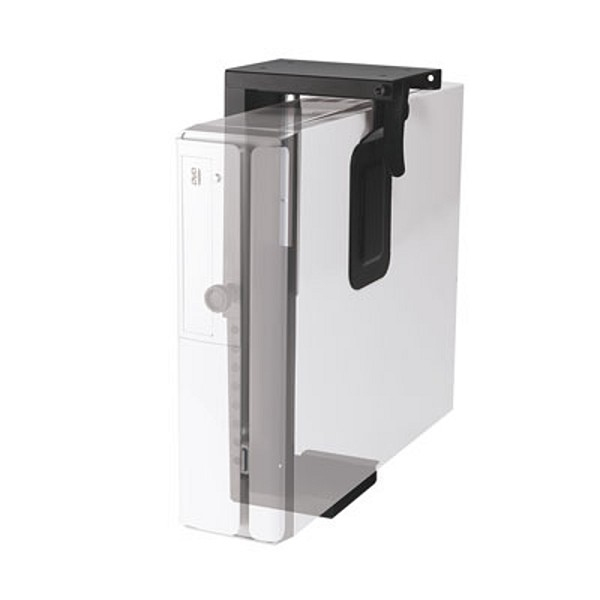 With the NewStar CPU-D075BLACK you can easily install a PC underneath your desk. It fits any desktop beacuse you can change the height and depth. This product is ideal for a clean desk policy. Because the PC is not standing on the floor, it attracts less dust.